If you’ve visited NYC’s The Cinnamon Snail, or if you’re an avid follower of their social media accounts, then you for sure know Jackie Gran. 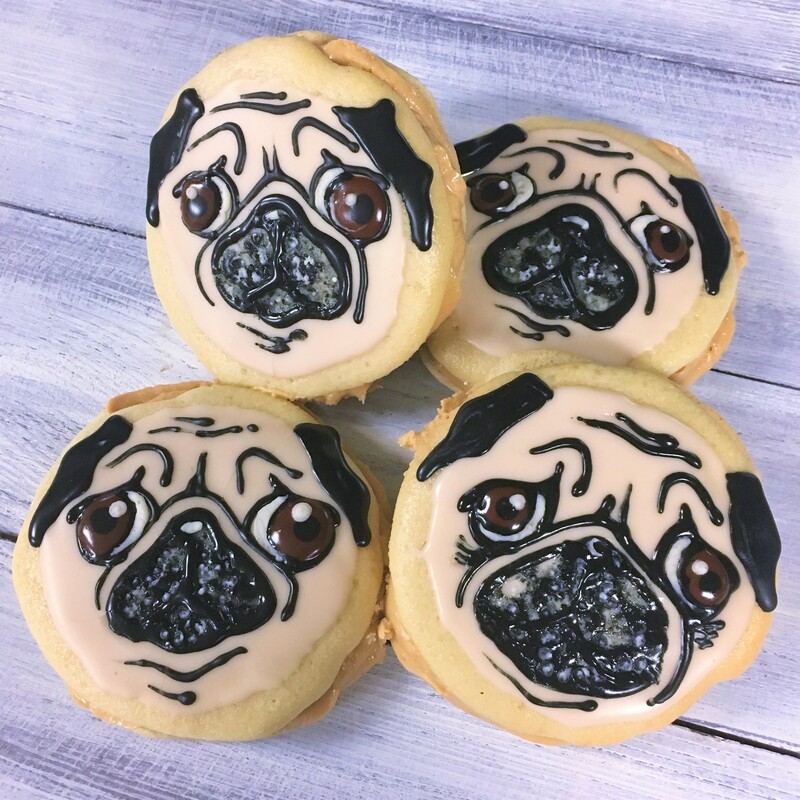 You won’t necessarily know her by name but you’ve definitely seen her amazing work: she is Cinnamon Snail’s baker and decorator, and she’s the artistic genius behind their delicious, super creative and beautifully decorated baked goods. I have been fan-girling hard for Jackie ever since I realized she had her own Instagram, and I excitedly follow her account to keep up with her latest and greatest work. She never ceases to amaze me, and I can never imagine what she’ll come up with next. Jackie was sweet enough to allow me to ask her some questions so I could learn more about her background, why she’s vegan and how she comes up with all those awesome creations. Thanks so much for this interview for my blog, Follow That Vegan! As you know, I’m completely head over heels in love with the things you create. 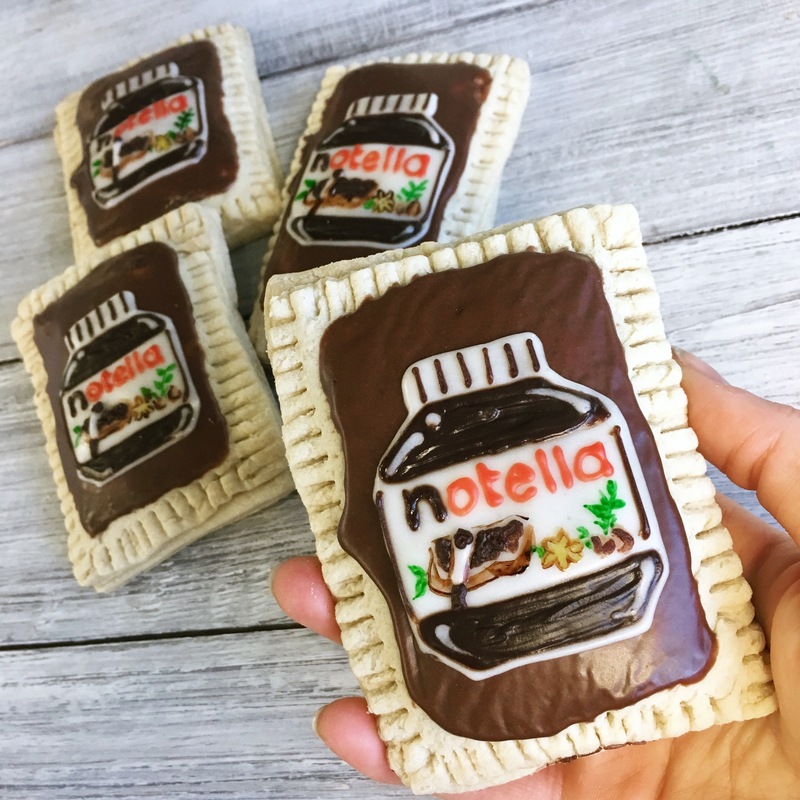 They’re super adorable and creative, and it’s awesome that it’s all vegan. How did you get started creating (amazing!) edible art? My artistic journey began when I was a child. I loved drawing my four cats, video game characters and nonsensical comic strips. Two of my siblings are incredible artists who have always influenced and inspired me, and continue to do so. From 2006 to 2008, I worked towards a BFA in Illustration at the Fashion Institute of Technology and then at the Art Institute of Boston, but withdrew due to the loss of my father. After taking a year off from school, my mother suggested I try culinary school for baking because I loved watching those cake shows on TV. I enrolled in 2010 without having ever baked a single pastry in my life. It was a great experience that lead me to merging my artistic abilities with delicious desserts. What were you doing before working with Cinnamon Snail? Before baking, I worked for two years in an art supply store. The only illustration jobs I could find were unpaid internships. 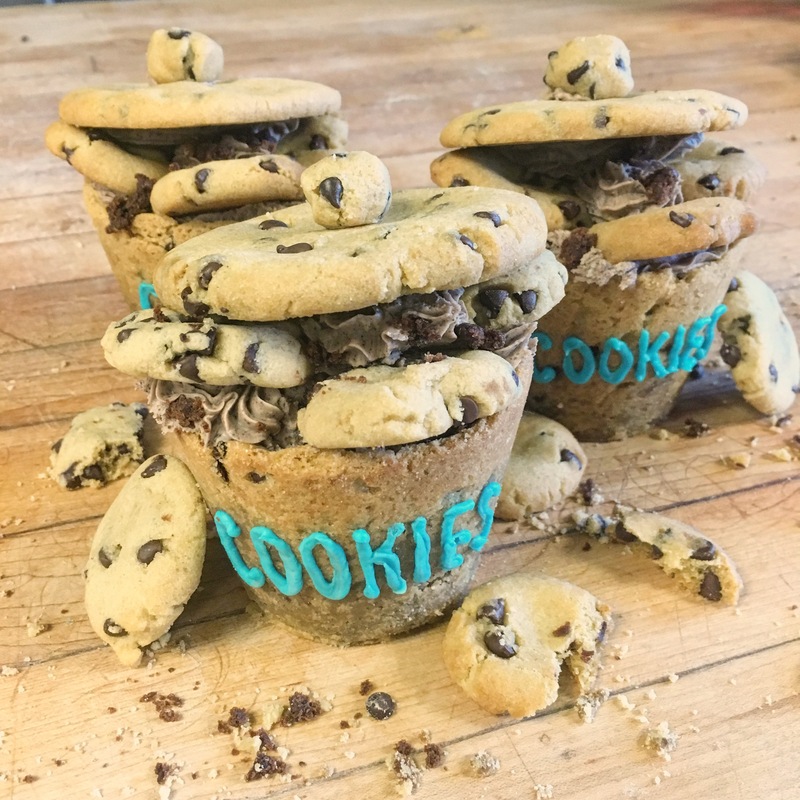 I was in a bit of a rut until I took the plunge into the baking world. I could not even count on two hands how many bakeries I have worked at. The industry tends to be pretty miserable. Low wages, mistreatment of employees, disgusting conditions, long hours with no breaks. I’ve seen it all: from a worker smoking a cigarette while frying cannolis, to not being able to breathe in without inhaling a fly (luckily, they are no longer in business). But I prevailed, rolled with the punches and worked my way up to the best job I’ve had in my life. It wasn’t easy getting here. There were lots of tears, trial and error and doubts. I was starting to think that the culinary field wasn’t for me but I didn’t give up. How long have you been vegan, and what made you go vegan? I have been vegan for two years. I decided to watch Cowspiracy and that was it. I spent hours researching veganism. I told my fiance that I was going to “try” it out for a few weeks, but I knew in my heart that I wouldn’t revert back. I have always been very empathetic and compassionate. Veganism fit perfectly into the way I wanted to live my life. Not once have I desired the use of any animal product since I made the switch. It completely changed my view of the world and opened my eyes to the horrors of animal agriculture. What do you love most about being vegan and having a vegan job? For one, I feel a very close connection with animals. I see them as individuals and not products. I’ve become conscious of the impact my personal decisions have, outside of just myself. When I went vegan, I worried that I’d never find a vegan baking job but I was hired by the first one I contacted. The best part about working for a vegan food business is being able to eat everything! Especially cake. SO MUCH CAKE. When did you start working with Cinnamon Snail? I started working at the Cinnamon Snail in February 2016. I was working in a non-vegan bakery and I decided to look for something more aligned with my new lifestyle. I emailed the owner and chef, Adam Sobel, and asked if there was a position for me. Although he had never employed a decorator, he liked my work a lot and decided to let me create a position for myself. My position is technically “Baker/Decorator”, but it’s, like, a million times more fun than your average baker because my boss lets me run wild and free with my creations. Adam is the kindest, most low-stress boss I’ve ever had. He gives me complete creative control, which is a dream come true for an artist. I love my job and what I do. The fact that it’s vegan is truly the icing on the cake! What’s your creation process for coming up with new designs for Cinnamon Snail? My creative process is weird. I come to work without any ideas of what to make. I decide what to bake first (I bake everything from scratch), and the design is secondary. It will usually just come to me as I’m baking. Sometimes I’m inspired by current events, national holidays or just plain wacky ideas that pop into my head. Usually I just make cute animals. 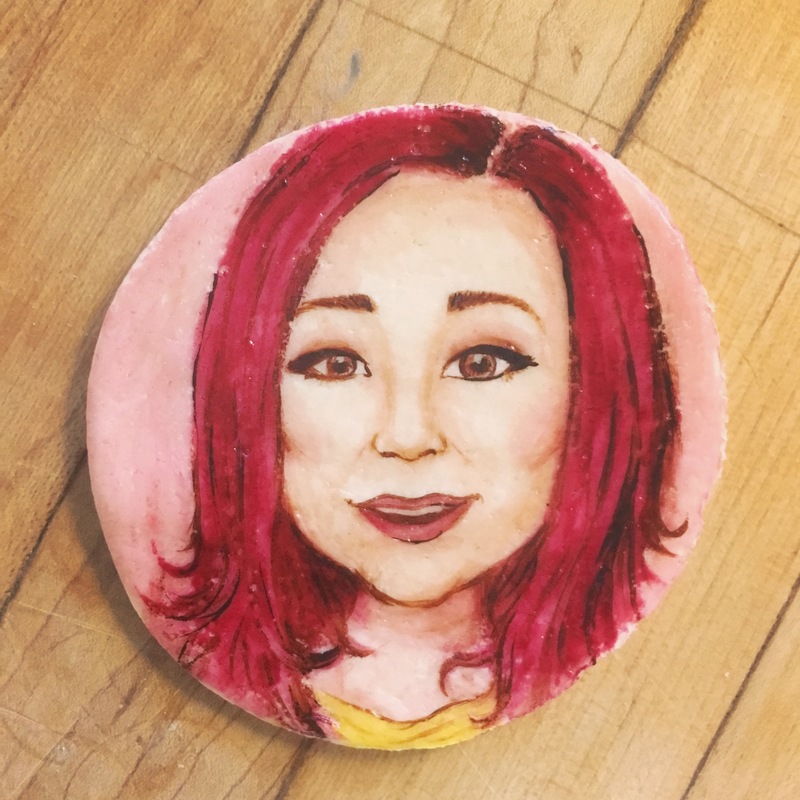 If I could, I would paint edible portraits every day. I just have so much fun getting lost in a painting. 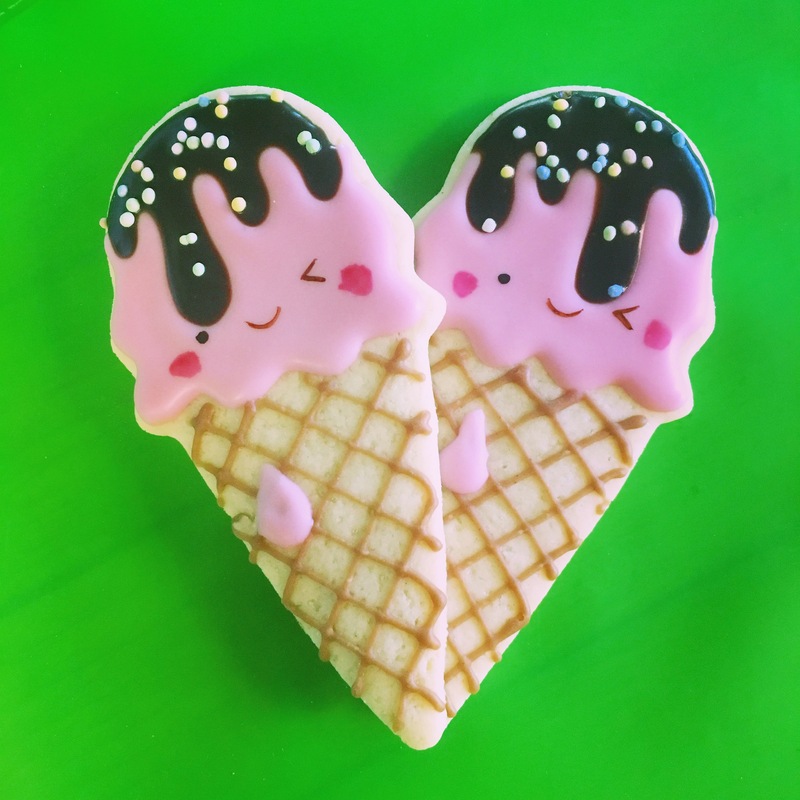 I also love decorating cookies with royal icing. My favorite cake to bake (and eat) is pistachio cardamom. We make these candied pistachios in-house that are to die for. 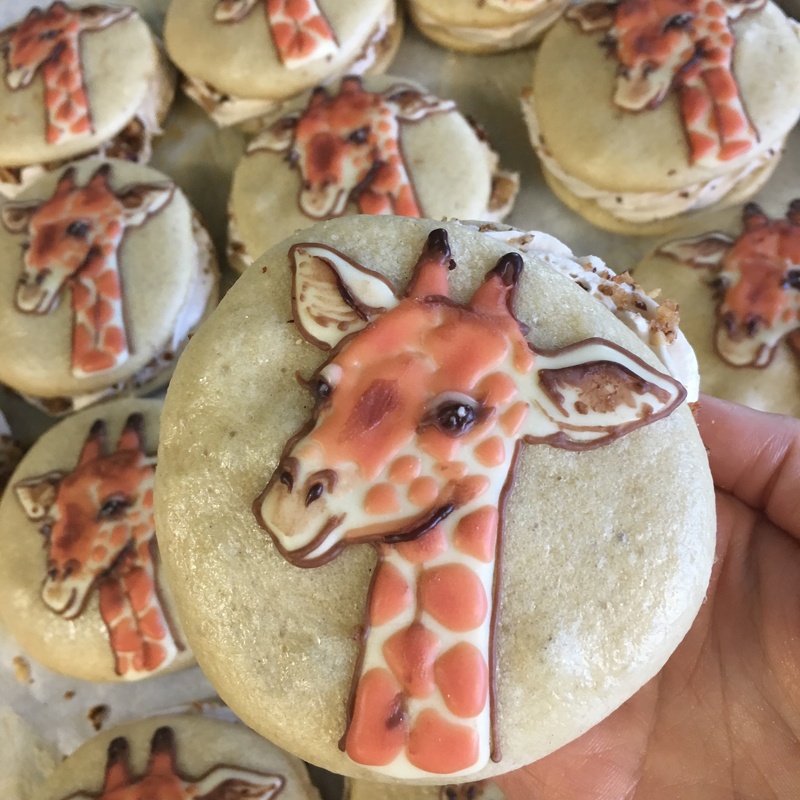 My favorite thing I’ve made recently are these giraffe whoopie pies. I’ve been obsessed with giraffes since I was a kid. They were a lot of fun to decorate. Everything you make is simply stunning. I can’t imagine this would ever happen, but have you ever had something just not turn out great? YES! Of course! I’ve had to redo entire recipes because of an ingredient left out. Recently, I made frosting using corn starch instead of powdered sugar. I’ve had finished cakes collapse during the heat of the summer. Carelessness and weather aside, I’ve had days where I straight up could not decorate. Those days happen and they stink, but life goes on. No use crying over pastries. Do you only make goodies for Cinnamon Snail or is your stuff available elsewhere? I currently only make sweets for the Snail, but I would like to branch out in the coming months. I’ve been brainstorming about making a single unique vegan product to market to local coffee shops and stores. I have done special orders in the past and am still open to doing them! The incredible opportunity I have to show people how amazing vegan food can be is indescribable. I put my heart and soul into everything I make, and people really seem to appreciate it. 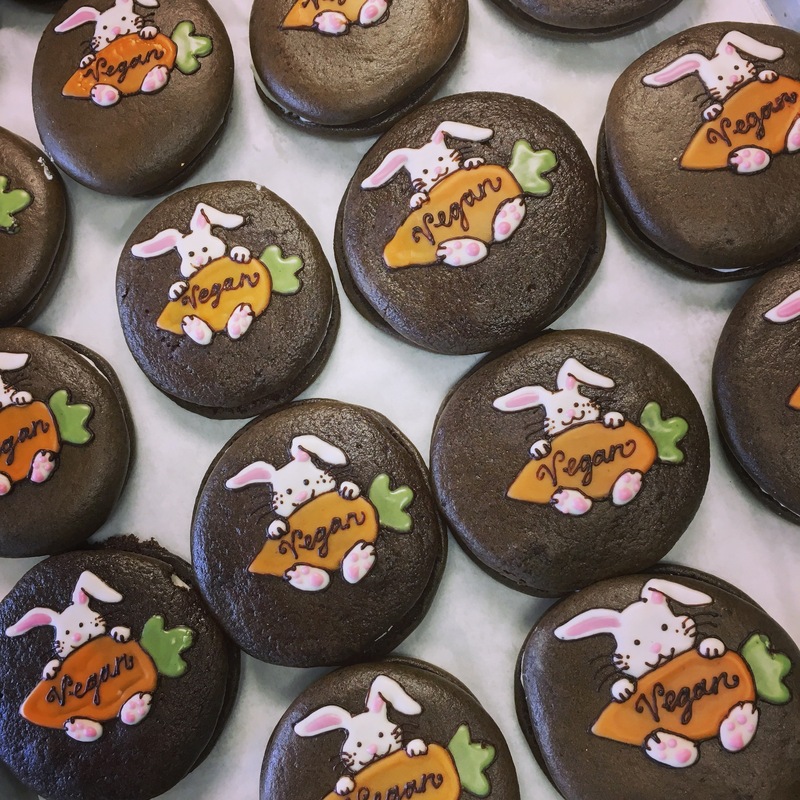 Every pastry I make is a labor of love, for people and animals. I love making people smile with my desserts, and love knowing that none of my furry/feathered friends were hurt in the process. Going vegan has changed my life so much but somehow did not change my career path (I just had to alter some recipes! ), and it has been the best and most enlightening decision I’ve ever made. Trust me, you’ll want to make sure to follow Jackie on Instagram for near daily photo updates of everything she’s working on currently. And if you’re in New York, swing by the Cinnamon Snail for a Beastmode Burger and a gorgeous, Jackie-created dessert.